Ever since Apple snapped up Beats, we've all been guessing what Cupertino plans to do with the headphone manufacturer, but so far not much has come into fruition. 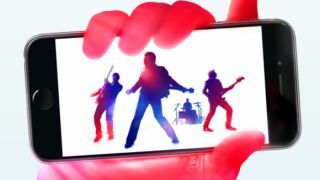 One guess was that Apple was interested in the company's music streaming service, and a new report from The Wall Street Journal believes that those guesses were right on the money. An anonymous bod familiar with the matter says Apple bought Beats in the hope of saving a declining iTunes. Since the start of the year, music sales through the iTunes Store have fallen 13% to 14%, according to the report, and now Apple is "rebuilding Beats Music and plans to relaunch it next year as part of iTunes." We'd already heard whispers that Apple was plotting to shut Beats down completely, but merging the two seems the more likely scenario. The decline in iTunes sales shows that Apple is feeling the burn from streaming services like Spotify. Beats currently offers a subscription package for people in the US at the price of $10 per month, but a recent rumour claims Apple wants to cut that number down to make it more competitive.